MY CUSTOMIZED CHEVROLET COUPE " HOT ROD "
Shortly after I started driving at sixteen I became a "hot rodder" and was modifying and "hopping up" whatever car I owned. I had Plymouths, Dodges, Fords and Chevy's. Six cylinder Chevy's became my favorites. 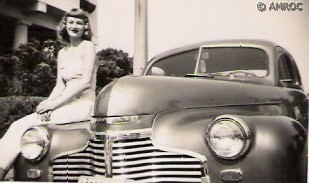 In 1950 I bought a 1941 Chevy coupe that had a solid and straight body. It was pretty tired otherwise and needed lots of work. I decided I would do some serious engine modifications, de-chrome the body, customize the interior and paint it a nice metallic blue. It all turned out very nicely and the engine performed even better than I expected. 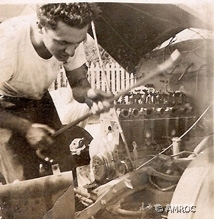 After all, it was only a six cylinder Chevy which most hot rodders frowned on. Anyone that would spend all that time and money on hopping up a Chevy had to be nuts. Well, I always was an "out of the box" thinker and building a Chevy engine to be able to compete with the usual Ford V-8 was a real challenge. 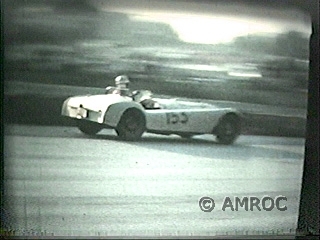 It turned out to do very well against many a V-8 powered car of it's day. It earned the respect of many of my fellow hot rodders who witnessed it's performance against cars considered to be good competitors. In fact, because it was a Chevy that could out-accelerate Fords, Merc's and others, some stories that made the rounds about it's surprising performance were pretty embellished but were good to hear. 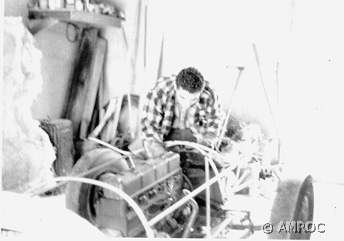 In 1951, I decided to build a real hot rod roadster powered by my Chevy engine. I located a 1926 Chevrolet Superior K roadster body and started building a chassis for it. The aim was to have a roadster to run at a drag strip I was trying to get for the hot rod club I and some fellow rodders had started on Long Island, NY. 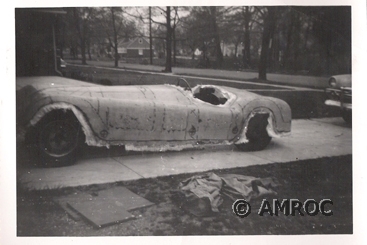 The chassis and running gear were assembled from several different kinds of cars. The chassis itself was made from a pair of 1929 Essex frame rails, "Z'd" to lower the chassis, Ford suspension was used front and rear with Chevrolet running gear. The plan was to build a roadster that was primarily a dragster, but could be driven on the road. After I had a chance to test drive the running chassis, it performed so well I decided to make it into a sports car rather than a hot rod. 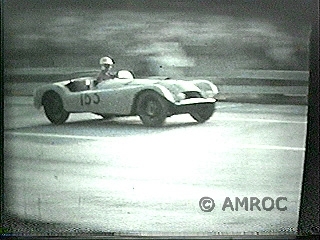 One of the reasons was that a new material was being used to build light weight bodies for home built and short run specialty cars. I designed a simple body, much like the popular Jaguar's of the time, and built my sports car. It turned out to be an excellent performer and handled surprisingly well considering that it was originally designed to be a dragster which normally would be driven in a straight line !! 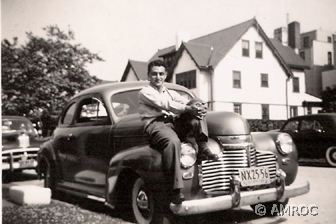 MY CHEVROLET " SPORTS CAR "
In early 1953, the fiberglass shell was made with several layers of cloth, and averaged about 1/8 inch thick. The original pattern was molded using plaster on a chicken wire framework. Rather than making a mold from the pattern, I laid up the fiberglass cloth and resin laminate on the pattern itself. Although the outer surface would show the weave and require extensive finishing, the total amount of time and material used would be far less than making a mold from the pattern, then making the body from within the mold. If a mold had been made from the pattern the body would then be laid up inside the mold and the body's outer surface would be as smooth as the original finished plaster pattern. Because I only wanted to build one body, I skipped the mold making part of the process. 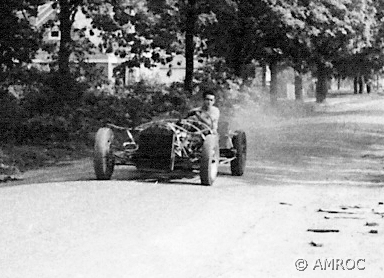 In 1954, shortly after I had the car on the road, my friend Ray Cuomo who was an excellent race driver asked if he could drive the car in an upcoming SCCA race in Thompson Ct. It would have to compete with some of the best sports cars of the time and probably wouldn't have much of a chance, but we thought it would be a great adventure and a lot of fun. I agreed and we rushed to make it fit the SCCA rules of the day. Obviously, it would be the ugly duckling of the race and we would be lucky to even run a few laps in the company of some of the best sports cars in the world. Why not? 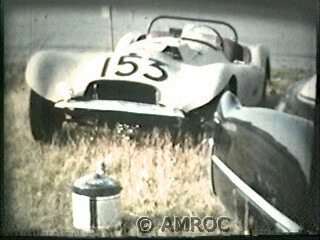 It was entered in the race as the # 153 Chevrolet Special.